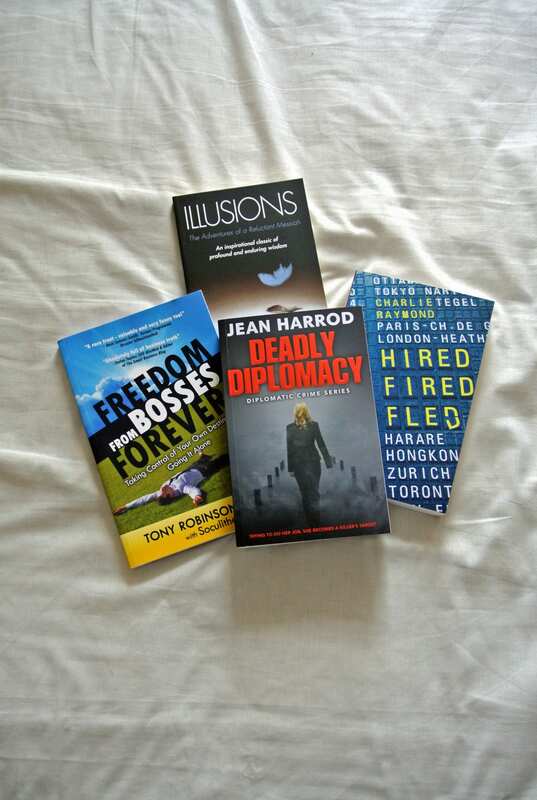 In his inimitable style, Iain Robertson turned off the TV and opted for his reading glasses, to review four superb new books that are perfect for taking on vacation. I took great delight in reviewing Ms Harrod‘s latest novel (‘Deadly Deceit’) only recently. This one is the first of a trilogy (the third part of which is set to appear next year) and helps to set a scene for lead character, Jess Turner, who is the British Consul in Canberra in this instance. Although fictional, the story has many parallels with the life of the author, who also served as a diplomat. In this tale, Jess makes her initial connection with Australian detective, Tom Sangster, a most useful ally in the second book of the trilogy, as she investigates the murder of a British business-woman. Ms Harrod writes supremely well and does not treat her readers like complete idiots (unlike some other popular authors!) 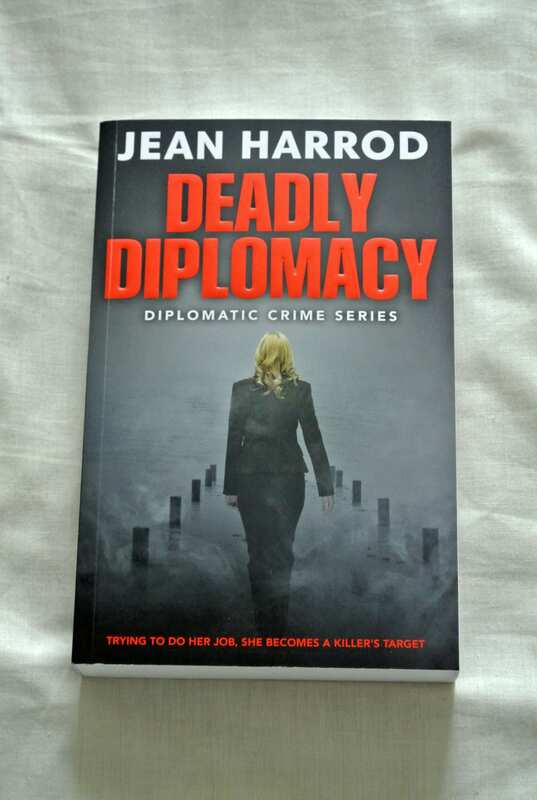 and Deadly Diplomacy provides a series of twists and turns that intrigue and fascinate in equal measure. As with Deadly Deceit, the plot, which includes multiple high-profile murders, is thrilling and engages totally with the reader, not least because it feels so eminently real, a factor that emerges clearly from Ms Harrod’s own background. She understands the legal implications and terminologies attached to diplomatic activities. As a perfect means to escape from the daily grind, Deadly Diplomacy more than meets expectations. I can see this novel, as well as both the second one and the, as yet, unfinished third appealing to the Hollywood set, as much as both enterprising NetFlix and even Amazon TV management. At least three seminal TV series, or movies, could arise from these books, so superb is their integrity. A worthy holiday read, for sure. Tapping into the modern psyche is something at which this new author, South Londoner, Charlie Raymond, seems to have an uncanny ability. His debut ‘novel’ is a delightfully amusing, personal parade through fourteen jobs in fifteen years, as seen through the eyes of a 21st Century graduate fresh to the employment scene. Charlie’s talent for observing and then reporting on the ludicrous series of events that befell him will have you chuckling aloud on your sun-lounger. I shall not tell you what each job was, as you will have to read that content, but I can inform you that the roll-call was lengthy and life-affirming for all sorts of reasons. Always having a trump card in reserve was a useful education pointer for Charlie, almost as much as ensuring that you carry out a job that you enjoy, according to Confucious, and you will never have to work a day in your life! 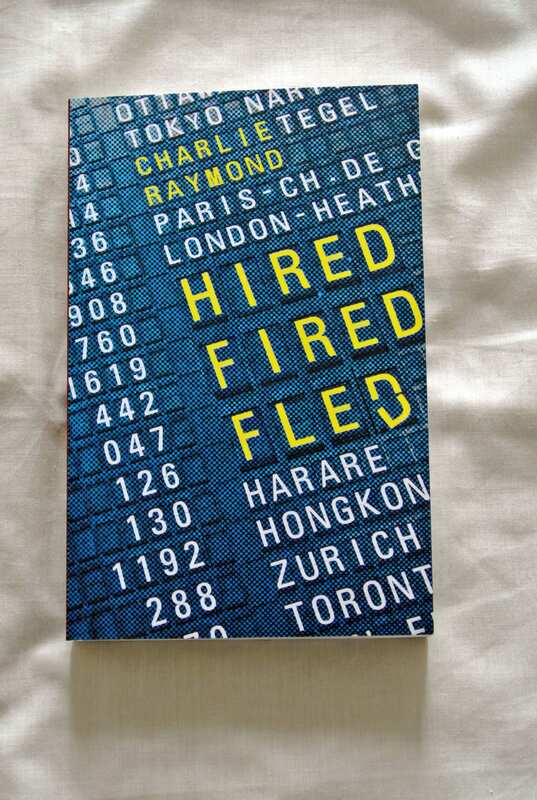 His trawl through the vicissitudes of international employment sent him across four continents and seven countries, with all of the travel nightmares that such a trek conveys. Amid the peaks and inevitable troughs, Charlie does secure his happy ending and imparts the genuine lessons learned in each chapter, as well as the more intriguing anecdotes that keep this ‘connected jotting’ so vital. For all the right reasons, it is a difficult book to put aside, once you start reading it and Charlie’s use of language could do with some careful fettling but it is engaging and immensely entertaining. If you have not heard about ERGC (Enterprise Rockers Global Community), the chances are that you might not have heard about its co-founder, with, or without, his OBE. Tony Robinson is a time-served entrepreneur, who has turned his hand to writing and speaking with some authority on the enterprise culture. I first heard about him in a former editorial role. He is a most colourful character. However, ignore him at your own risk, because what he has to say is significantly more than useful. 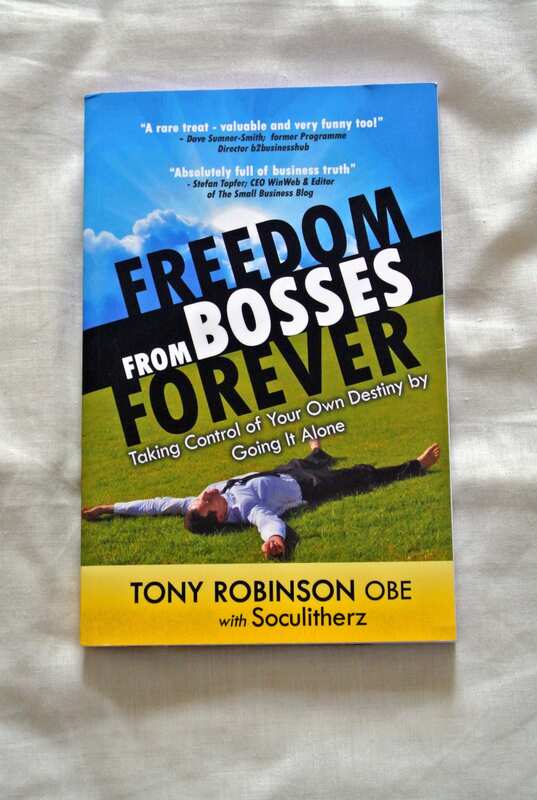 Tony’s writing style is amazingly irreverent but it is very easy to differentiate between amusing anecdotes, with which this self-published book is peppered, and the hard facts that will help you to make the break from employment to self-proprietorship. Tony is very good at amassing quotations and milking them for all they are worth but he does manage to drill down to the truth that they impart, which highlights his value as an engaging speaker and a keen observer. As a mish-mash of themes intended to fire the imagination but without causing ancillary damage, this excellent 152pp paperback will hold your attention for as long as you wish it to. It can be delved into as frequently as the reader desires, which makes it perfect for vacation reading. Ever-so-successful, ‘Jonathan Livingston Seagull’, written by Richard Bach, became acquired reading, when I was at school, mainly because of its mere 10,000 words length. Although now aged 80 years, this American author is renowned for his sometimes disturbing fictional tales and his autobiographical novels, all of which enthral and create reader fascination. 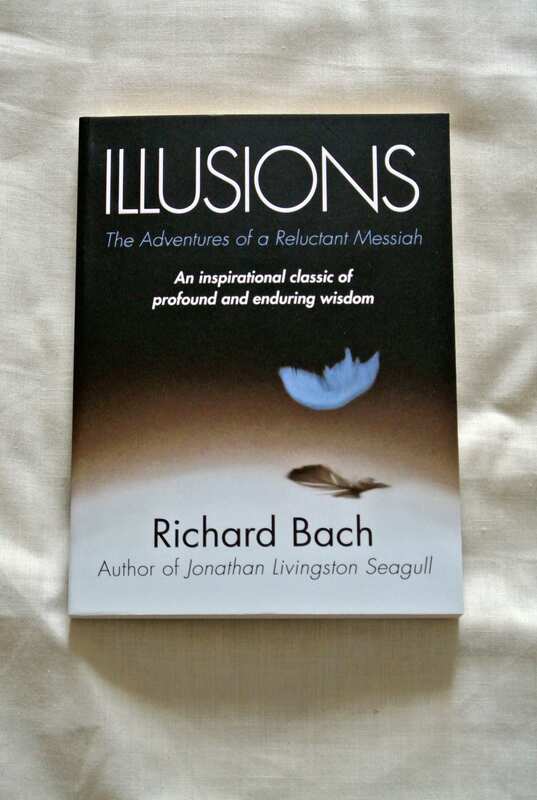 Illusions, published originally in 1977, is an ethereal work subtitled ‘The Adventures of a Reluctant Messiah’. It is one of those titles that passed me by completely, until a good friend, Scott Brownlee, sent me this copy. While Bach openly admitted to a hatred of writing, he was often compelled to do so and Illusions is a result of one of those eureka moments. In many ways, it is a trip into how seriously a Jesus for today might be perceived. By means of intense thought, Bach demonstrates how we can all make impact on our own lives. Reading his words, sage or not, as it is your choice, is a voyage into self-discovery. It is only a small paperback, containing 144pp of dialogue but it will make you assess and even redress things in your own life. While on holiday, with a relaxing mind ready to accept a run of ideologies, I can think of no finer way to explore your inner recesses, aided and abetted by the master wordsmith, Richard Bach.